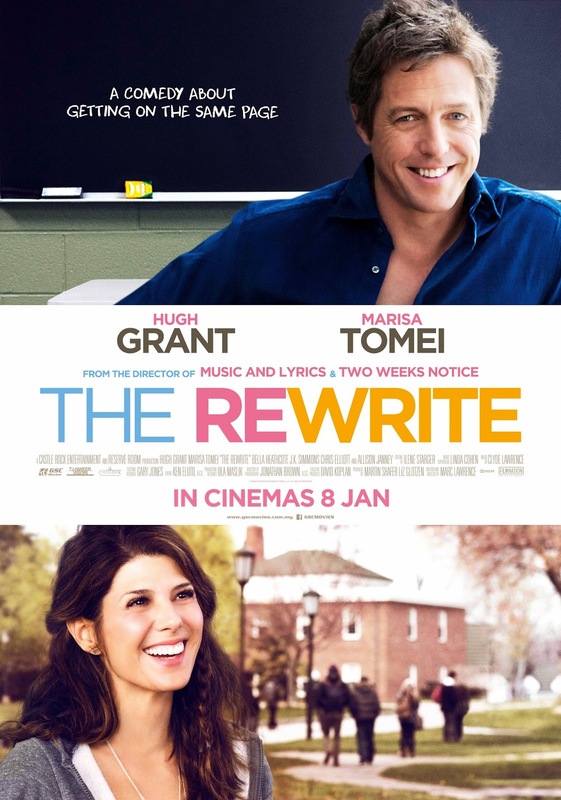 From the director-writer of Music and Lyrics (2007), a rom-com about a washed-up pop star who hopes to revive his career by writing a new song, comes this new rom-com that’s about a washed-up screenwriter who hopes to revive his career by writing a new movie, and again, the protagonist’s played by Hugh Grant. And like most Hugh Grant films, the British man eventually falls in love with an American woman. This is the fourth Marc Lawrence rom-com led by Grant. Sick of it yet? Not me ’cause thankfully, I didn’t manage to watch the other two (one of the titles has a grammatical error, now that’s funny). Grant has shown that he’s not a one-trick pony that the press suggests after playing 6 different evil characters in Cloud Atlas (2012) but he’s now back doing a romance comedy again. This time he practically has to carry the entire film as the development of the other characters are much weaker. But he is good at what he does, being funny with his good old British charm. 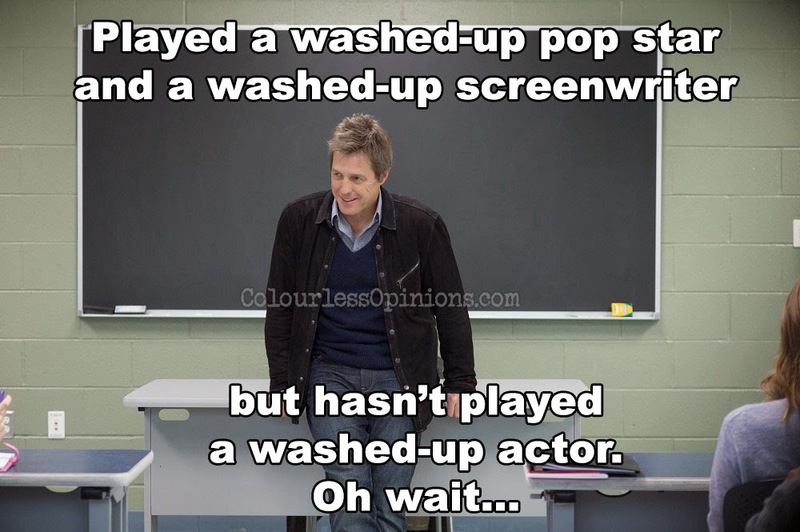 The story takes place in the city of Binghamton in the US, where British one-hit-wonder screenwriter Keith Michaels (Grant) goes to for a teaching job at a university after failing to sell his new script despite feeling that screenwriting cannot be taught. Keith was an Academy Award winner for a fictional movie titled Misplaced Heaven (ironically, its plot sounds way more interesting than this film itself) but his subsequent movies fail to impress and he refuses to submit to trend by writing a screenplay with a “kickass female protagonists”. 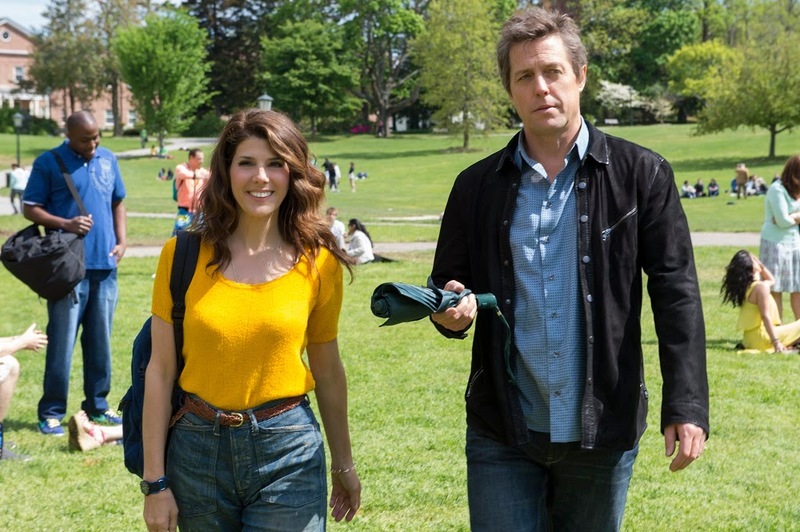 At the university, he meets a student Holly (Marisa Tomei) who’s a single mother of two kids working multiple jobs while studying. Through the process of being a screenplay teacher whom most of his students look up to, he slowly gains new perspectives and ideas. Marc Lawrence has been intelligent enough to go around the hats that are too big for him. In Music and Lyrics, the protagonist’s a washed-up mainstream pop star who tries to write a pop ballad in the story. So the song doesn’t have to be turn out absolutely brilliant in the end. Here, the character Keith is successful with only one of his screenplays and he has no experience in teaching so it justifies why his ideas, teaching methods and the outcome of this film itself don’t have to be great. Like what Keith teaches here, a screenplay should have a theme, character depth and three acts, which of course, Rewrite basically has. Although it’s not exactly original, at least it doesn’t feel tiresome. The romance in this romance comedy is lacking. Keith kicks off his stay at Binghamton by sleeping with one of his students Karen (Bella Heathcote) but predictably, ends up with Holly seemingly just because they’re both parents and they’re around the same age. Binghamton is quite heavily promoted in the film but I doubt it does enough to attract anyone to the city. The biggest problem I have is that the film doesn’t really try too hard to educate or inspire about screenwriting. Also, Lawrence seemed to have picked a side between simple rom-com/fairytale movie lovers and Tarantino fans that he stereotyped (all are Keith’s students). Lawrence may be annoyed by the fact that he’s merely a rom-com director-writer but why does the cold harsh Tarantino fan has be an emo Asian girl? Why does the Star Wars geek have to be a short white kid with coconut hairstyle who wears Star War t-shirts everyday and doesn’t have any friend? And why sideline all black characters as though they don’t speak up as much? The Rewrite could’ve definitely use some rewriting. The film is easily watchable mainly due to its humour and very light tone but of course, not all jokes work. There are annoying repetitive gags, one of them involving the character Dr. Lerner (J.K. Simmons), a very lenient English department chairperson of the university who weeps every time he talks about his family. At one point, he mentions that he would kill someone with a “Malaysian Chokehold”. Strangely, I’ve no idea what that is. Has Malaysia become a popular joke in the west? Malaysia Censorship: Nothing was cut for the press screening held at GSC Mid Valley Megamall and I doubt there’d be any censorship for the public. Second opinion: My girlfriend felt that it was touching but only moderately funny. Verdict: While it’s far from being a memorable piece, The Rewrite is a light rom-com that no fans of the genre would hate and also amusing enough for the guys to enjoy as well.